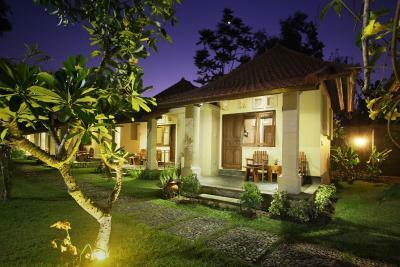 Lock in a great price for Puri Rinjani Bungalows - rated 8.1 by recent guests. Staff super friendly, garden awesome with beatiful trees and plants. Very clean and quite zone. The property had a beautiful garden and pool setting and a relaxed atmosphere, the attached restaurant was also very comfortable and served a good variety of good food. Great place! We got the deluxe bungalow and absolutely loved it. The garden and pool area are great. Food and drinks are great. The bed was very comfy and the entire experience was 5star. We enjoyed our stay here very much. 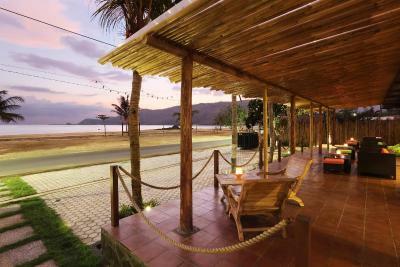 The staff were helpful and attentive, the premises quiet although situated on the main road. Worth a repeat visit. Super clean, in and out of your villa. Super approachable staff, top to bottom, but totally respected your private space. Entertainment in and in front of hotel 2 of the 5 nights we were there. 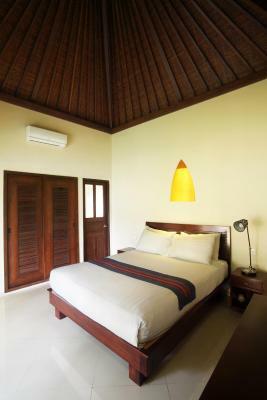 Offering an outdoor swimming pool and an on-site restaurant, Puri Rinjani Bungalows is a beachfront property located in Kuta in Lombok. free WiFi access is available in public areas. 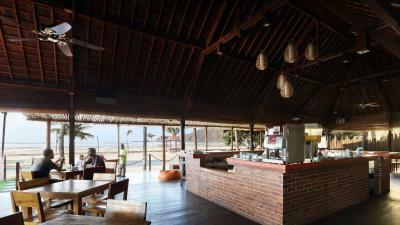 This holiday park is only about a 2-minute walk from Kuta Lombok Beach and Lombok International Airport is reachable within 30 minutes by car from the property. 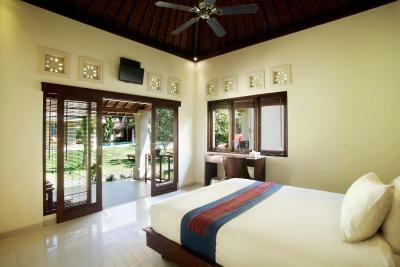 The bungalows at Puri Rinjani are air-conditioned and featuring a flat screen TV with satellite channel, a wardrobe, and a safety deposit box. 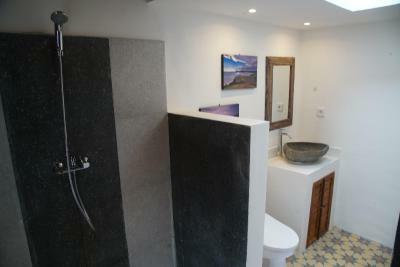 The en suite bathroom features shower facility. 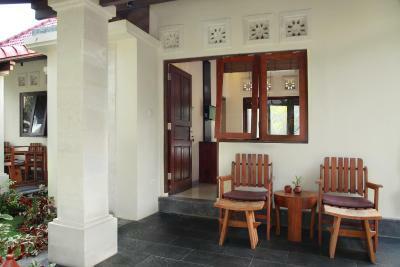 There is also a terrace with seating area overlooking the lush garden and pool. 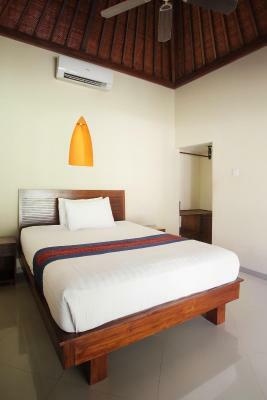 Other facilities you may find at this property include free daily maid and ironing services as well as free luggage storage service. On-site massage treatments, laundry service, airport shuttle, and car and bicycle rentals are available with extra charges. 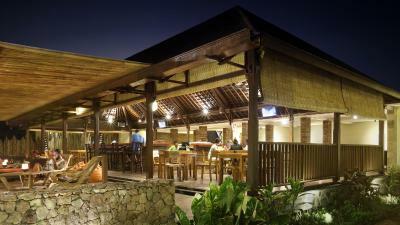 For dining option, the on-site restaurant serves Indonesian and Western dishes. 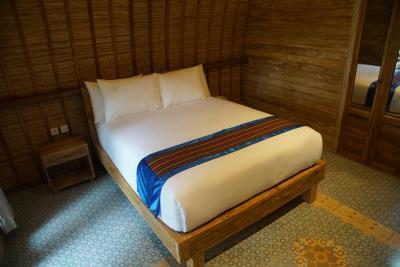 Room service is also available should you want to dine in the bungalow. 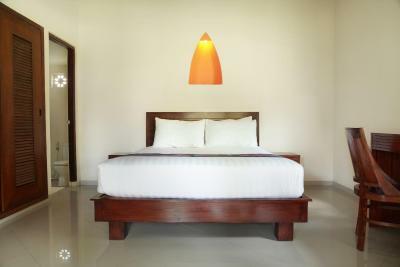 Puri Rinjani Bungalows has been welcoming Booking.com guests since 19 May 2014. 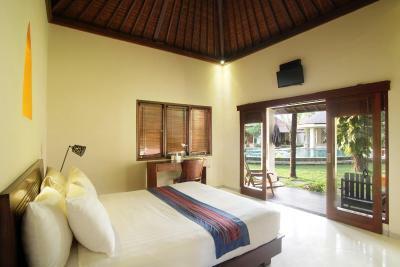 When would you like to stay at Puri Rinjani Bungalows? 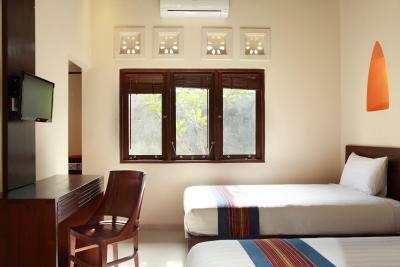 This twin/double room features a seating area, tile/marble floor and air conditioning. 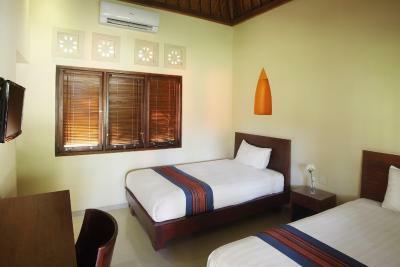 This twin/double room features a satellite TV, tile/marble floor and seating area. 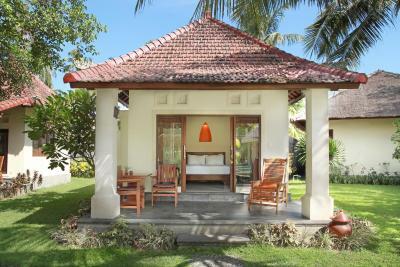 House rules Puri Rinjani Bungalows takes special requests - add in the next step! 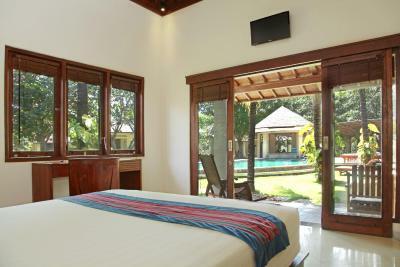 Puri Rinjani Bungalows accepts these cards and reserves the right to temporarily hold an amount prior to arrival. Breakfast a little bit to less. Clean, great staff and impressive grounds and facilities. The room was quite small and was not as well appointed as other accomodation i've stayed in at that price point. The bed (twin share) wasn't great however it wasn't uncomfortable, I slept well. Beautiful grounds. Lovely staff. Good food. The mosque singing is lovely but very loud and goes on for a long time. The drinks and food were a lot more expensive than other places. The hot water only lasted for one person. Being from Surabaya it was quite expensive- but worth it. Only 2 towels provided. We could use another 2 hand towel. 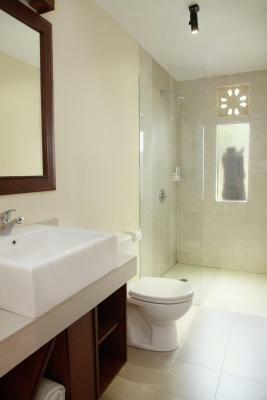 Room keeping also could be improved, need cleaner bathroom. Pillow too high. Balcony was too hot in the afternoon, could add a ceiling fan. 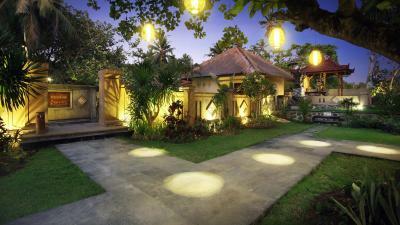 Very good location, friendly staff, lots of space in the beautiful garden. No doubt one of the best in Kuta. Better than the others we stayed in Kuta in previous trips.